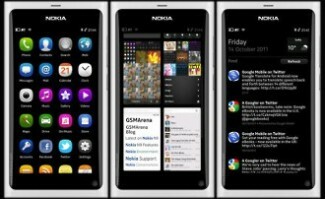 The new OS looks and operates very much like the Swipe UI found on the MeeGo-running Nokia N9. 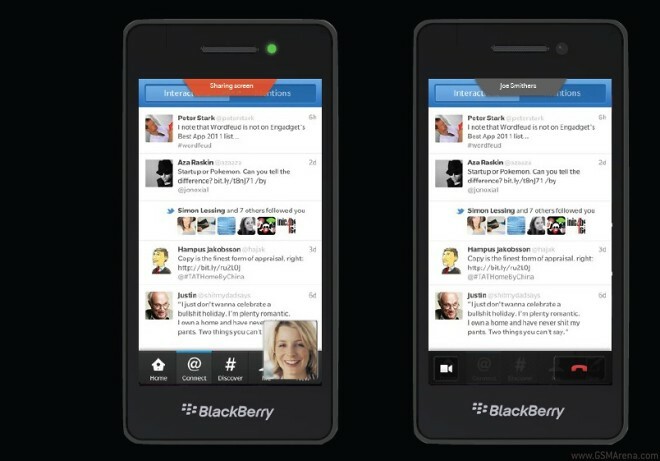 Here we’ve laid out a comparison between the UI on the N9 and the one on the BB10 device from the leaked image. Looks very similar, doesn’t it? The first screen is the app launcher, a swipe to the left reveals the task manager, while a swipe to the right will take you to the unified notifications screen. 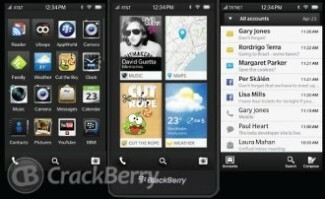 The new lockscreen of BlackBerry 10 is codenamed Cinnamon Toast and will involve some motion-based operation. Once a message comes in the screen will light up, picking the device up and tilting it slightly upwards will reveal a second row of information, while tilting it further will display the whole notification. BlackBerry 10 is based on QNX and features a useful screen sharing feature, which allows you to share your screen while viewing a message, email or a video call. Finally BlackBerry 10 will also feature an advanced video editor, which is a direct result of the acquisition of Swedish company JayCut. Above you see the app pictured on the PlayBook slate. Thanks, zymo for sending this in!